Published 6/19/2010 . Last updated 9/15/2017 . Blueberry has never been one of my favorite flavors. I didn’t like blueberries at all until I discovered that not all blueberries are huge and flavorless – like most of the ones you can find at the supermarket. Last summer, I bought a bag of fresh, tiny blueberries at our local farmers’ market and ate almost the whole bag in one sitting. I’m now a blueberry believer! 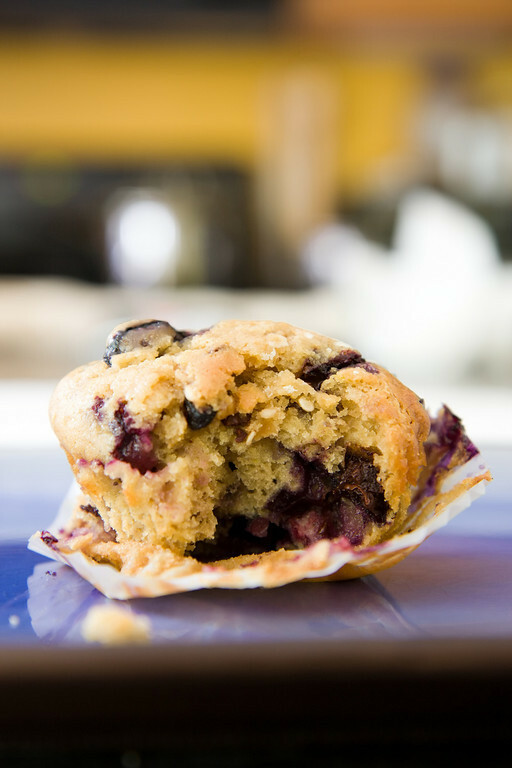 Each bite of these blueberry cupcakes brings you another burst of flavor. Sure, there are the juicy blueberries that pop in your mouth, but there are also oats from your favorite granola, dark chocolate chunks, and a hint of maple and apple butter in the cake itself. They’re topped with homemade whipped cream. I used my homemade blueberry granola), but a store-bought granola would also work. These are the chocolate chunks that I use. Chocolate chips would also work. 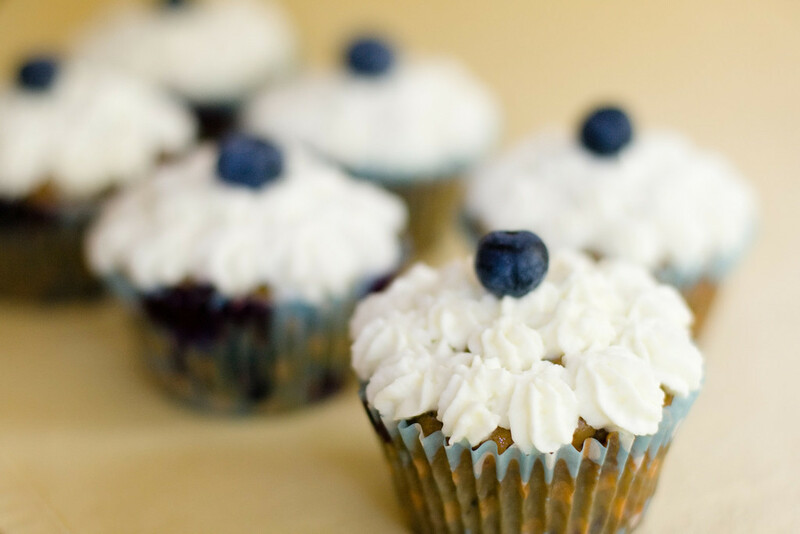 Blueberries and granola combine in these sturdy cupcakes, topped with fresh whipped cream. Mix the flour, baking powder, and baking soda in a small bowl and set aside. In a large bowl, mix the eggs and sugar until light and creamy. Mix in the maple syrup, butter, and apple butter. Mix in the dry ingredients until just integrated. Mix in the milk until smooth. Fold in the blueberries, granola, and chocolate chunks. Divide batter evenly between twelve cupcake liners. Bake for twenty-five minutes or until the tops bounce back when lightly touched. Whip heavy whipping cream and sugar until light and fluffy. Optionally decorate with a fresh blueberry. I’ve just been given some verjus/verjuice – I had no idea what it was but it looks good! Any ideas on how to use it in cupcakes? B) Make these super yummy looking cupcakes. Karina – I hadn’t heard of it either. But, I just looked into it. I wonder if you could mix a little bit of it into whipped cream, like I do with balsamic vinegar. Now, I really want to get my hands on some.